iPhones and iPads are efficient enough to stay organized and productive. Along with some incredible features, these devices can manage critically structured files, and automatically sync data from the connected system and take back up through iCloud service. Regardless, even then there are still possibilities of data loss issues on iOS devices, which might lead to serious consequences. Data loss is basically an inaccessibility that freezes data or makes it invisible for the user. If an iOS device really is dealing with a severe case of data loss, then the most recommended and effective choice could be iOS data recovery tool. Although, this software also have their own limitations due to which they cannot recover all the traces of lost data, no matter how efficient the software is. Additionally, all of these iOS recovery software work when your iOS device is mountable, but what if it is no more connecting to your system. Except this, there could be much more cases when your iOS system gets crashed and lead to data and cannot be recovered by iOS recovery software. Using various recovery utilities on an iOS device might overwrite your data and make it non-recoverable. Moreover, some of the cases cannot be handled by the software and need data recovery service to be fixed as they are related to hardware damage and recovery services can increase success rate more than any other existing technology. Stellar Data Recovery is a well-known name in data recovery industry due to years of experience and thousands of satisfied clients. We provide data recovery service for iPhones, iPads, iPods and even iWatch. We are a data recovery specialist that avails you the best data recovery option for iOS running devices. Our expert teams of technicians have years of experience with the iOS operating system, and use proper utilities to deliver a functional copy lost data within few days. We test your device create multiple cases by testing your media to find out the best recovery solution to increase the chances of a maximum data recovery. We have numerous service centers in India. First, we diagnose your iOS device for free and then provide you the status of data recovery chances. 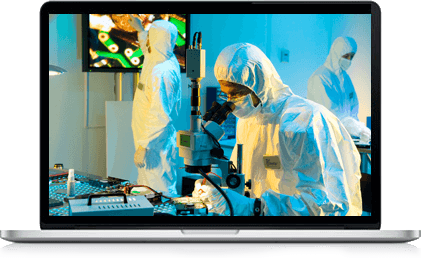 Stellar data recovery owns a certified Class 100 Clean room that allows us to safely repair logically or mechanically damaged all iOS devices like iPhones, iPods, iPads etc. After initializing the targeted device we treat all the logically or physically damaged devices in a controlled environment. Visit Stellar Data Recovery for More Information about iPad and iPhone data recovery Services.